To provide quality control or help with the design and testing of fibers, Omnisens Vision offers fast, accurate strain and temperature measurements. Omnisens Vision is based on Brillouin scattering. In single mode fibers it produces precision readings with high spatial resolution over long distances and/or large loss test conditions. It is capable of high speed testing in dynamic situations such as flex fatigue. Its configuration flexibility makes the Omnisens Vision well adapted to a wide variety of test & measurement needs. 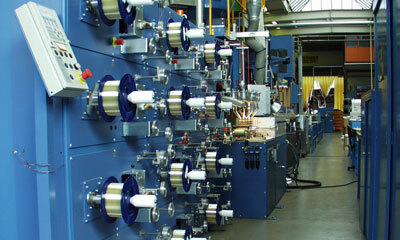 Omnisens Vision offers long distance and high loss testing of single mode fiber. VISION and VISION Dual provide Brillouin scattering-based Strain and Temperature location and detection instruments for use in optical fiber test and measurement. A range of instruments capable of detecting strain and temperature in single mode optical fibers and fiber optic cables. VISION: BOTDA - stimulated Brillouin technique providing a fast, precise and cost effective solution where access is available to both ends of the fiber. VISION Dual: BOTDA and BOTDR- stimulated BOTDA plus spontaneous BOTDR for when only one end of the fiber is available. 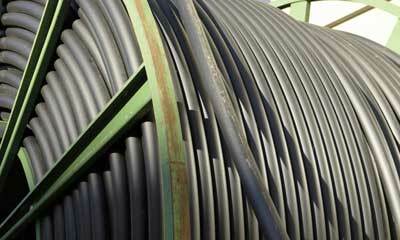 Specialty cable needs to be fully qualified and monitored to validate its performance during manufacturing. Optical fiber quality control Specialty fiber optic cable is designed to meet the requirements of applications which may exceed the performance requirements of standard telecom cable. Fiber optic cable performance is critical to the delivery and retrieval of large amounts data from eg: oil wells, civil engineering superstructures or ROV’s. Since strain has a detrimental effect on the performance of the cable and the fiber lifetime, manufacturers and designers use Omnisens Vision to ensure that the integrity of the fiber is maintained during and after cabling. Fast acquisition distributed strain and/or temperature measurements down to 1 Hertz. 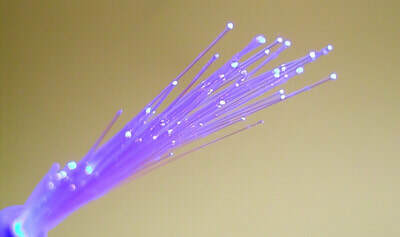 Fiber strain dramatically reduces the life expectancy of optical fiber. Omnisens Vision provides strain detection and location during design, transport and manufacturing stages, to help ensure the fiber optic cable meets longevity and performance requirements. ​High bit rates and narrow channel spacing require optical fibers with perfect uniformity along the manufactured length. The use of dense WDM systems has been strongly stimulated by the rapidly growing bandwidth requirements of internet and multimedia communication. Quality control of fiber coils for gyroscopes, metrology, and dispersion compensation requires precise and individual component qualification and testing in order to validate demanding requirements in terms of strain characteristics. The long lifetime requirement of fiber optic cables can be met only with strain-free fibers. The validation of strain-free conditions requires the measurement of residual fiber strain during and after cable installation which cannot be done with traditional OTDR. Furthermore, the development of high bit rate network requires low polarization mode dispersion (PMD) to achieve rated transmission bit rate. It is recognized that local fiber strain has a direct impact on the increase of PMD values and performance degradation. 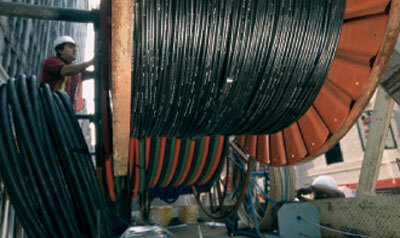 Strain reduces the life expectancy and limits the bandwidth capabilities of the fiber within the cable. It may be introduced during installation, particularly on long haul aerial and subsea installation, or when the cables are pulled through manholes and winding routes as may be the case in urban areas. The bandwidth of a fiber optic transmission cable is ultimately limited by problems related to polarization mode dispersion, (PMD). Commonly caused by either residual or induced strain, PMD may produce a non-uniform strain in locations where the fiber link is subjected to environmental variations. Omnisens Vision is ideal to measure installation-induced strain as well as to routinely monitor the strain profiles of critical fiber links. 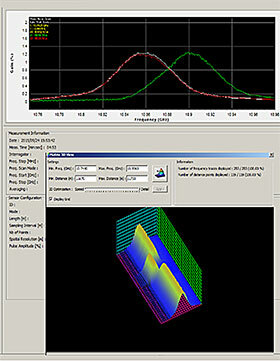 Omnisens Vision may be used in the field to locate sections presenting strain levels exceeding rated specifications and introducing bandwidth limitations. Fast acquisition distributed strain and/or temperature measurements down to 1 Hertz. rated specifications and introducing bandwidth limitations.